Education is vital to advancing our collective understanding of and vision for land health and a robust rural economy. Through education, we bridge divides, pass on a strong land ethic to the next generation, and support local economies through rural development and poverty alleviation. Whenever possible, we seek opportunities to promote education and rural economic development that are integrated with our other programs. For instance, the Prescribed Fire Training Exchanges (TREX) we host are an opportunity to outreach to the community, informing citizens on the use and purpose of prescribed fire, wildfire impacts, and mitigation strategies. We also provide training opportunities for community members and landowners interested in becoming fire certified, job skills that are in demand both regionally and nationally. By integrating our conservation, education, and economic objectives we maximize our impact while stretching our grant and donation dollars to best effect. Below we highlight a few of our specific projects related to education and economy. If you are interested in learning more about the concept of a natural resources economy we suggest, The Rise of New Natural Resource Economies in the Intermountain West, by Daniel Lokic. The Alliance offers scholarships to graduating high school seniors at Escalante and Pagosa Springs High Schools to support advanced studies at any university or technical college. These scholarships are sponsored by 262 Ranches, of Tierra Amarila, New Mexico, and donors like you! Click here if you are interested in supporting these amazing students. Students do not need to be majoring in conservation or the biological sciences, but must write an essay describing why private land conservation is meaningful to them. First place awards of $1,000 and runner-up awards of $500 are given to as many students as the fund can support each year. Application materials are available through each school's counselor's office during the winter semester of the school year. Andres Martinez, $1,000 scholarship recipient from Escalante HS in 2018. 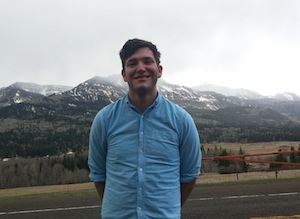 From 2016 through spring of 2019, the Chama Peak Land Alliance is partnering with the Bureau of Reclamation to host the organization’s first VISTA Volunteer. Vista is a national AmeriCorps program focused on poverty reduction in communities throughout the United States. VISTA Volunteers work to increase the organizational capacity of the nonprofits, tribal and local governments in which they work implementing programs that last beyond their term as volunteers. Will Donahoo was our first VISTA and began his service in May 2016, Emma Kelly served from May 2017 until April 2018, and Caitlin Barbour is currently serving through March 2019. This is the first Bureau of Reclamation VISTA Volunteer in the nation. During the year-long position, the VISTA promotes the resiliency and restoration goals of the region through his or her on-the-ground presence in Chama, New Mexico working to engage individuals and support the efforts of the Chama Peak Land Alliance and Bureau of Reclamation as a whole. You may see the current VISTA, Caitlin, around town attending meetings with entities such as the Soil and Water Conservation District, Village of Chama, NM State Forestry, and Rio Arriba County, reporting on events, representing Chama Peak Land Alliance, and forming partnerships. Additionally, the VISTA Volunteer’s efforts will assist with organizing community outreach events, supporting the San Juan-Chama Watershed Partnership, applying for grants to support Alliance and Partnership work, and Alliance member communications. The VISTA will also work to secure funding through grant applications and will search for additional training and funding avenues for both the Alliance and the community during his or her tenure. This work adds critical capacity to our efforts in the region! 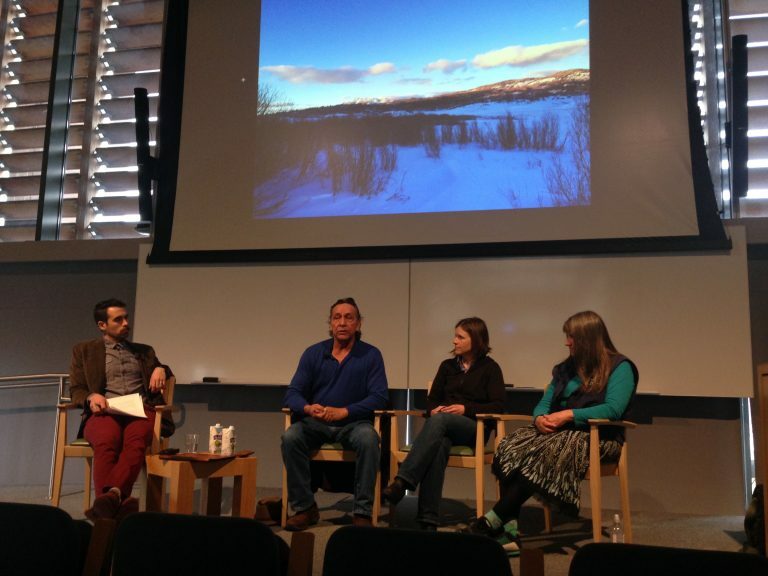 Three representatives from the Chama Peak Land Alliance presented a panel discussion at the Yale School of Forestry and Environmental Sciences in April 2016. The panel was part of a 2-panel series entitled “Public-Private Partnerships: Making Conservation Work in the West.” The series, sponsored by the Ucross High Plains Stewardship Initiative, the Westies (a group of Yale students and faculty interested in the American West), and the Yale Center for Environmental Law and Policy, hosted representatives from the Malheur National Wildlife Refuge the week following the Alliance panel. Emily Olson, the Alliance's then Stewardship Coordinator, Manny Trujillo, an Alliance board member, and Mary Stuever, an important Alliance partner and New Mexico State Forestry’s Chama District Forester, provided an hour’s discussion on the successes and challenges of working together to create a healthier and more resilient San Juan – Chama ecosystem. Students engaged with Ucross High Plains Stewardship Initiative were particularly intrigued with history of land disputes and disagreements in our area. “Why are you willing to be on the CPLA board?” one student asked Mr. Trujillo. His first reply was simply “so I would know what they are doing.” The panel provided examples of how the Alliance’s perspective is expanding to include concerns of all area communities. Another student asked – “How is it to have a board with such diverse backgrounds and interest?” Ms. Stuever replied, “Honestly, it is sometimes awkward. Yet the alternative is to surround yourself with like-minded individuals and run the risk of continuing a century-long disconnect between the people who share this landscape. It is hard, but it is how we must operate if we wish to be successful in creating a resilient landscape that supports everyone.” The last question asked of the panel was, “Are you hopeful about the future?” Emily replied, “Yes. There are also many things that unite us including a shared desire to steward the landscape, and in my short time with the organization, have seen how the board has welcomed new perspectives.” The UCross Program and Alliance staff are equally excited to continue fostering a collaboration between the organization and the University. Manuel Trujillo, Emily Olson, and Mary Stuever participating in a panel discussion at Yale University.